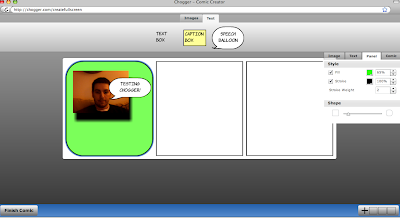 Chogger is a free comic strip creation tool offering a good selection of editing tools. Chogger allows you to draw images from scratch or use your existing images. You can even connect your webcam to Chogger to capture pictures for use in your comic strips. Once you've added images to your comic strip, you can add effects such as fading and outlining. 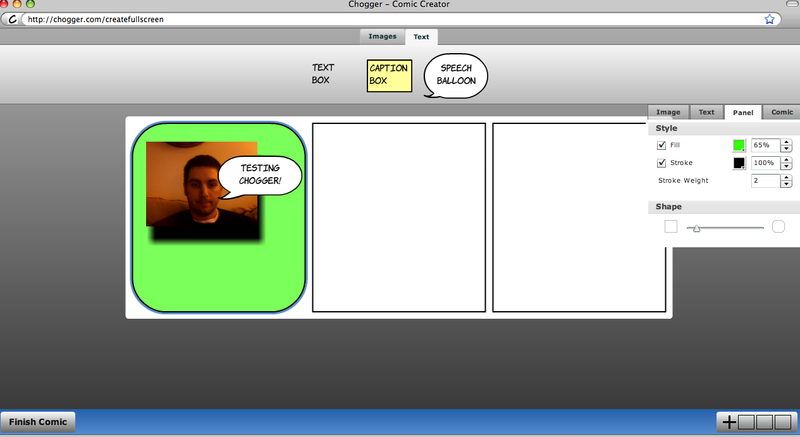 Chogger also allows you to customize the look of each frame in your comic strip. Comic strips created in Chogger can have as few as three frames or as many as twelve or more frames. Thanks to Anne Marie at Talking SMARTBoards & Much More for the info about Chogger. Chogger could be a good web-based alternative to proprietary comic strip creation tools. Chogger offers more space to create and more options for editing than many similar web-based tools. Students aren't locked into predefined templates and are free to create comic stories as they see fit. One note of caution about Chogger, when I browsed the public gallery of comics I did come across one advertisement that might be considered PG-13.